Throughout sixth and seventh grade I had a fairly regular after-school routine: race home, change, do my paper route and then peddle over to my friend Pat's house to hang out. Whereas my house featured the free-roaming chaos of five kids, Pat enjoyed all the perks of being an only child because his (much) older sister was already out of the house and away at college. Pat was the commander of the entire second floor of his house. He didn't have to share anything with anybody sharing the same last name — so he shared it all with me. The walls of his large, sprawling bedroom were covered with posters of Bob Dylan and a huge poster of Peter Fonda from Easy Rider. The floor was strewn with books and magazines like Rolling Stone, Circus, Crawdaddy and Creem. There was an acoustic and electric guitar propped against a makeshift set of homemade shelves full of records in perfect alphabetical order. There was an ashtray. There was an automatic record player that allowed you to stack LP's and 45's for hours of non-stop listening pleasure — or at least until the weight of all the records spinning on the turntable got so heavy it altered the pitch of the music. There was no PlayStation. No cable television. No VCR's. No computers. It was fun and weird and wonderful and because it involved rock n' roll and my father didn't like the idea of me hanging out in Pat's room in all my spare time, it felt dangerous. Now Pat was a total Bob Dylan fanatic. At 13 he owned every LP to date by Dylan and The Band. Not only that, he could strum along to just about any song. And he knew all the lyrics. And he wasn't afraid to sing along imitating Dylan's signature nasal twang.… Thanks to Pat, my appreciation for Dylan grew, but in the end it was the record collection his sister had left behind when she'd gone off to college that really piqued my interest: The Who, Cream, The Animals, The Kinks, early Pink Floyd, Donovan, The Hollies, The Rolling Stones, and The Creation. Of course I had heard of some of these bands before—but only what top-ten playlists spoon fed me on the clock radio my brother and I fell asleep listening to every night. I didn't know, for example, that there was an entire rock opera beyond “Pinball Wizard.” In 1973, Dark Side of the Moon was beginning its historical ascent up the charts, but I was more interested in listening to a scratchy copy of Piper at the Gates of Dawn because it was simply unlike anything I had ever heard before. I was definitely a musical sponge in the early 70's; soaking up whatever music came out of the speaker's on Pat's stereo, but British music in particular held a special appeal, and does so to this day. Following that preamble, today's choice was difficult. I have so many favorite songs from that mid-60's - early 70's era and this is a bit of a guilty pleasure because it's a silly, hippy-dippy love song of sorts with playfully childish lyrics. But every time I put on one of my paisley shirts, I completely understand the song and its frivolously skipping rhythm. 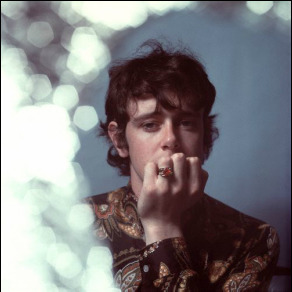 Today's Happy Medium Song of the Day is “I Love my Shirt” by Donovan. An ersatz Dylan to some, but not to me. Wear your love like heaven, indeed.